I hope your Thanksgiving was as nice as mine. My sister had a really big crowd of family and friends, and it was a lot of fun. I was able to visit with some relatives I don't get to see very often, which was really very nice. The meal was great – of course – and my mom was happy to have so many of us there. Today we begin the holy season of Advent. While it's easy to think of Advent as a time to prepare for Christmas, it's really much more than that. The word Advent means "coming" – and Advent is indeed a time to get ready for the coming of Christ. 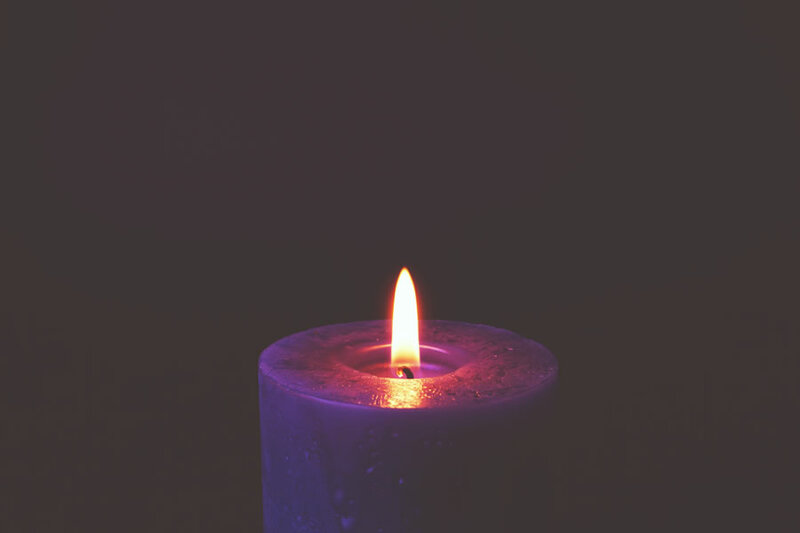 As Catholics, Advent makes us think about not just one – but two – of Christ's comings. While we are certainly getting ready to celebrate His first coming at Christmas, Advent also reminds us to get ready for His Second coming on Judgment Day. Indeed, it is that Second Coming that is the main focus of today's readings. In the Gospel, Jesus' tells us to be ready for His Second Coming. He reminds us that we don't know when it will be – so we should be ready for it all the time. We do this by living by His teachings each day. Praying and worshiping Him, practicing honesty and purity in relationships, and showing compassion and mercy to the poor are just a few ways we get ready for Jesus' return. So is seeking His forgiveness for our sins – especially in Confession. We will have two priests on duty during the regular Saturday Confession times (9 – 9:30 AM and 3:15 – 4:15 PM) this Advent. We will also have a Penance Service on Monday, December 17 at 7 PM with lots of priests to help hear Confessions. Be sure to take advantage of these opportunities to prepare your heart and soul for Christ's coming. In the Church pamphlet racks you can find some nice pamphlets about Advent. I hope you will find them helpful. You can also find all kinds of good Catholic resources at FORMED – a kind of Netflix for Catholics. Information to use it can be found elsewhere in the bulletin. Please remember that this Saturday, December 8th , is the Feast of the Immaculate Conception. It is a Holy Day of Obligation, meaning that we Catholics have a serious obligation to attend Holy Mass that day. Mass will be offered on Friday evening at 5:30 PM and Saturday at 7 and 8 AM and 12 noon. (The 4:30 Mass will be the usual Sunday vigil!) Please note that while we are often dispensed from attending Mass when certain holy days fall on a Saturday, this never happens with the Immaculate Conception. Mary is patroness of our country under this title, making this a special day for us to pray for our country and for peace. Let's all be sure to take time to honor our Blessed Mother by attending Mass on her special day. Next Sunday our parish will celebrate the Feast of Our Lady of Guadalupe at the 1 PM (Spanish) Mass. After Mass there will be a procession to Mercy Hall, followed by all kinds of food, music, and fun. Everyone is welcome!